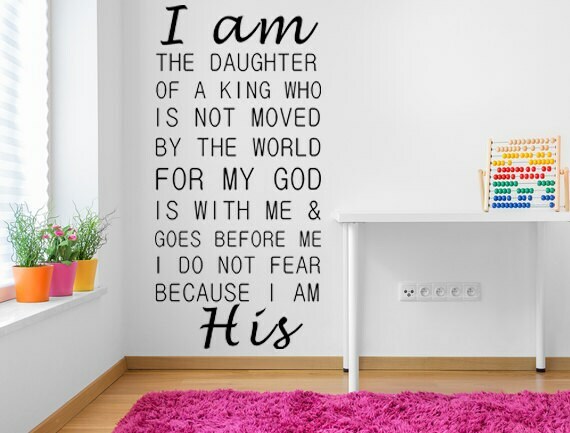 Easily apply this gorgeous, eye-catching "I Am A Daughter Of A King" vinyl decal nursery decor to any room in your home! Always be reminded that your loved ones are special and important to God. Please note the size of this listing as the picture may not show the size to scale. This decal measures 18 inches wide by 37 inches in height.